Legendary music producer LA Reid - the man behind artists such as Mariah Carey, Toni Braxton, Kanye West, Rihanna, TLC, Outkast, Pink, Justin Bieber, and Usher - changed the music business forever. Now he tells his story, taking fans on an intimate tour of his life. Sing to Me is a fascinating journey from Reid's small-town R&B roots in Cincinnati, Ohio, and his work as a drummer to his fame as a Grammy Award-winning music producer and his gig as a judge on the hit reality show The X Factor. Experienced television actor Maxwell Glick's charismatic performance brings Mitch Weiss and Terri Gaffney's Managing Artists in Pop Music vividly to life. 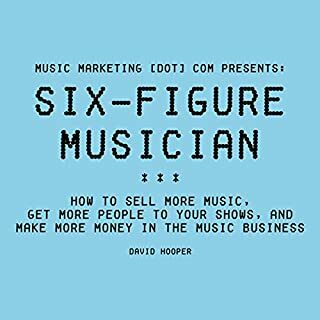 While it does offer a plethora of practical advice, this is not a generic how-to book, but rather a colorful, no-nonsense look through the perspectives of both managers and artists at how to succeed in a hyper-competitive industry. 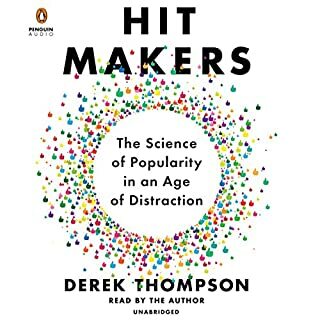 Glick's upbeat, dynamic delivery captivates the listener from the start, and adroitly captures the book's informative, revealing, and sometimes cautionary tone. 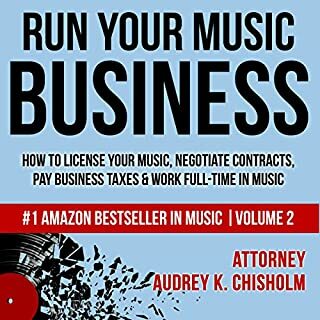 Music managers and artists will learn the secrets of successful management with scenarios from a manager’s work life, along with the legal and business skills to master them. Through stories of real-life, famous artist-manager teams, the authors analyze, criticize, and detail what a manager ought to learn to be an effective advisor and representative. ©2012 Mitch Weiss and Perri Gaffney (P)2012 Audible, Inc. The story is great, the layout is well done, and the information is valuable. Great book overall.This book is written from an artist management / development agency stand point. 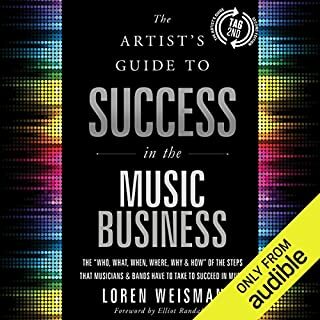 It is a great insight into what it takes to manage an artist and how this business works. 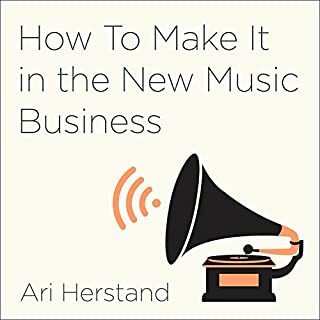 The author gives his personal take on the pop music industry, drawing from personal experience, what kind of challenges are involved, and how to approach them (and how not to approach them).The book gives very good examples of what artists should be thinking about before they do anything at all. Think ahead, plan, consult, and educate yourself on the various aspects of the business. I would like to mention though that this is revolving around the pop music where artist are either members of bands or stage performers (such as a country guitar lead singer). 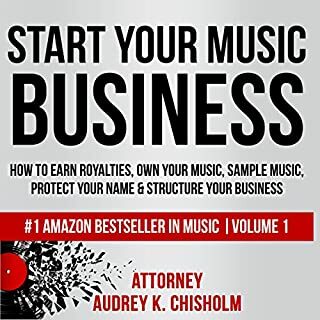 It has nothing on the EDM scene if that is what you are looking for but the ideas and principles are probably the same. 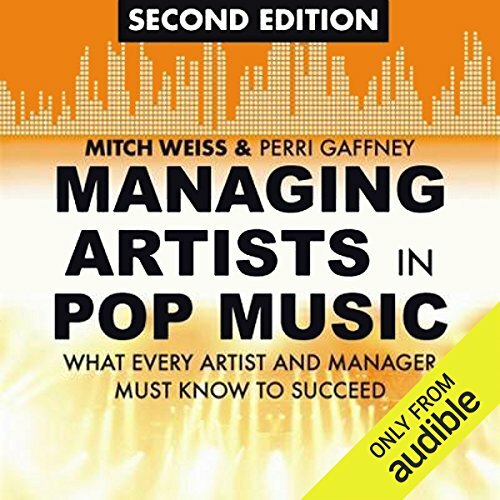 What other book might you compare Managing Artists in Pop Music, Second Edition to and why? Which character – as performed by Maxwell Glick – was your favorite? This was a good book. The author gave some great information...some of which I had never heard before. It was interesting to hear about the world of music business and about how things work. This was a good starter point. great listen in an 8 hour shift at your day job. great listen in an 8 hour shift at your day job. even did a couple chapters over for clarity. I read this from an artists' point of view who needs to find a manager. I discovered the things I must look for in a manager to be more successful in my life and career, and that a good manager can be a life mentor also. If you could sum up Managing Artists in Pop Music, Second Edition in three words, what would they be? i liked it but i eish it would have been more informational than storytelling. want details.